Most state-of-the-art approaches to object and face detection rely on intensity information and ignore color information, as it usually exhibits variations due to illumination changes and shadows, and due to the lower spatial resolution in color channels than in the intensity image. We propose a new color descriptor, derived from a variant of Local Binary Patterns, designed to achieve invariance to monotonic changes in chroma. The descriptor is produced by histograms of encoded color texture similarity measures of small radially-distributed patches. As it is based on similarities of local patches, we expect the descriptor to exhibit a high degree of invariance to local appearance and pose changes. We demonstrate empirically by simulation the invariance of the descriptor to photometric variations, i.e. illumination changes and image noise, geometric variations, i.e. face pose and camera viewpoint, and discriminative power in a face detection setting. 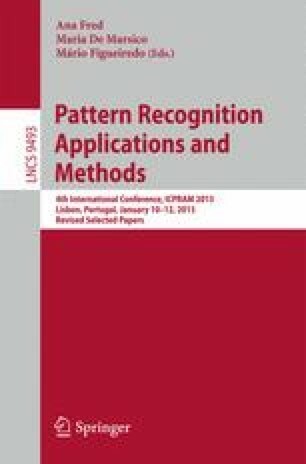 Lastly, we show that the contribution of the presented descriptor to face detection performance is significant and superior to several other color descriptors, which are in use for object detection. This color descriptor can be applied in color-based object detection and recognition tasks.